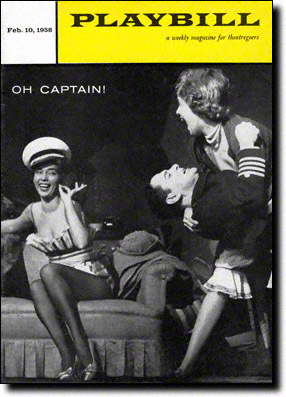 “You’re So Right For Me” was written for the 1958 musical Oh, Captain!, which ran for 192 performances on Broadway in 1958. The show was directed José Ferrer and starred Tony Randall. Though nominated in a number of Tony categories, it won none. “You’re So Right For Me” was recorded on February 4, 1958 and released that year as a single. It was arranged by Ralph Sharon. 1958: Columbia LP 12″ (Mono): CL-1167 — Hits From Oh, Captain!